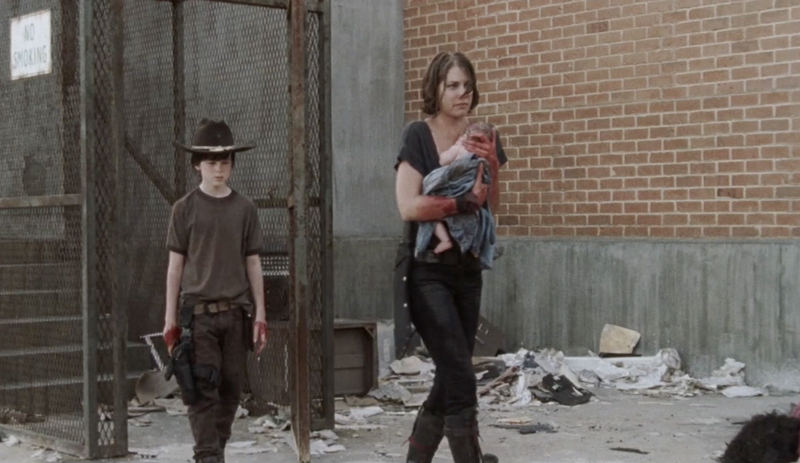 As the tiny baby cries in Carl's arms, Rick storms back into C-Block with an ax. 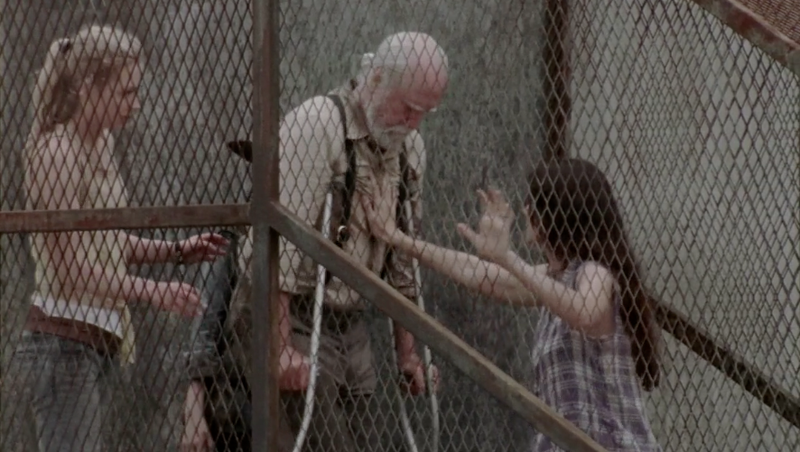 Hershel warns the Group that the baby must have formula or she will die. Daryl takes charge and Maggie volunteers to go with him on a supply run. A heartbroken Glenn digs graves for their dead as Oscar and Axel offer to help. Oscar reminds Glenn that he was lucky to have an entire group of good people in his life. 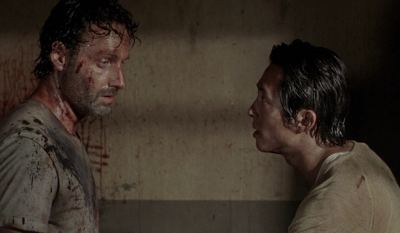 Later, Glenn goes back inside the prison in an attempt to console Rick; but quickly leaves when he sees the former sheriff covered in blood. Rick sinks further into madness when he begins hearing the phone ring. After Axel and Oscar finished digging graves, the Group would quickly retrieve the bodies and bury them. Carol's grave would remain empty and symbolic. After the informal funeral, Glenn and Hershel would likely have wanted to keep the entire Group together. Wanting to be useful to their grieving new friends, Axel and Oscar would again volunteer to prepare a meal. 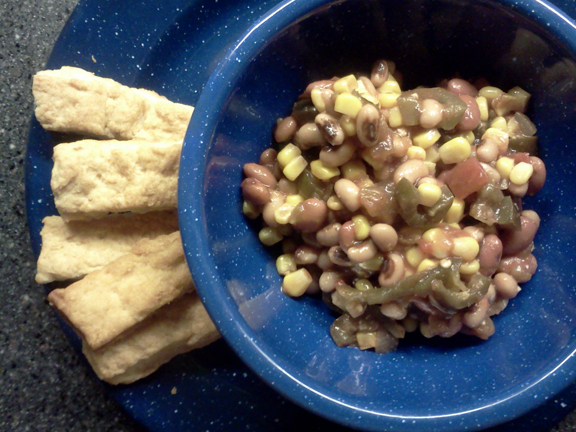 Featuring two different kinds of beans, as well as corn and spicy jalapeño peppers, Coweta Caviar and Breadsticks contain the high-protein content that the Group needed. Only six ingredients for the caviar means a very quick prep time. The breadsticks can be prepared while the caviar sits so the flavors can blend. And when the dead rise; if there is a pregnant woman in your group...get formula in advance....even if you have to scavenge every Piggly Wiggly in a 500 mile radius! For Caviar: In a medium bowl, combine all the drained beans, corn, salsa or picante, Italian dressing and jalapeño peppers. 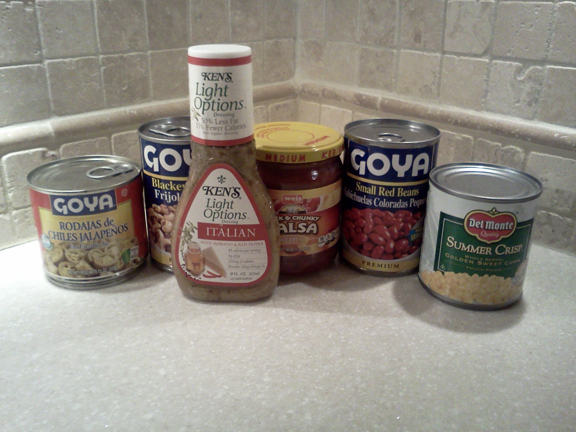 Mix well and set aside for the flavors to blend while you prepare the breadsticks. For Breadsticks: If you have an oven, preheat to 400°. Alternately, heat campfire coals to red-hot and allow to turn to ash. In a cast iron skillet (or a 9" x 13") pan, melt the shortening. 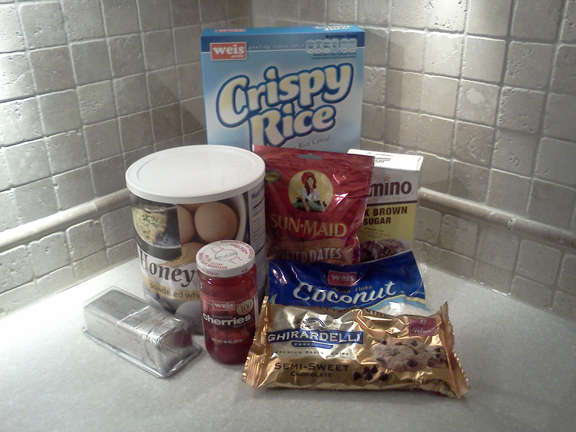 In a large mixing bowl, combine baking mix and water. Stir only until the mixture forms a soft dough. 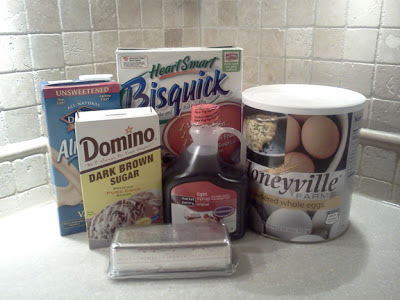 Dust a clean and flat surface with additional baking mix. Turn out dough onto the surface. Carefully roll the dough into the additional baking mix. Shape into a loaf and then knead 8 to 10 times. Divide dough in half. Roll or pat each half into an 8 by 8 inch square. Cut into sticks (each about 3/4" wide). Roll each stick in the melted shortening in the cast iron skillet. Bake for 14-16 minutes in preheated oven. Do not overcrowd the skillet; it's better to bake in two batches (adding additional melted shortening) if you don't have a large enough skillet or baking pan. Alternately, you can cook the breadsticks over the campfire. Place skillet over hot coals and "bake" for approximately 4 minutes on each side, turning several times. You can test for doneness by breaking a breadstick in half. The insides should be flaky. Serve Coweta Caviar in small bowls with breadsticks on the side for dipping. 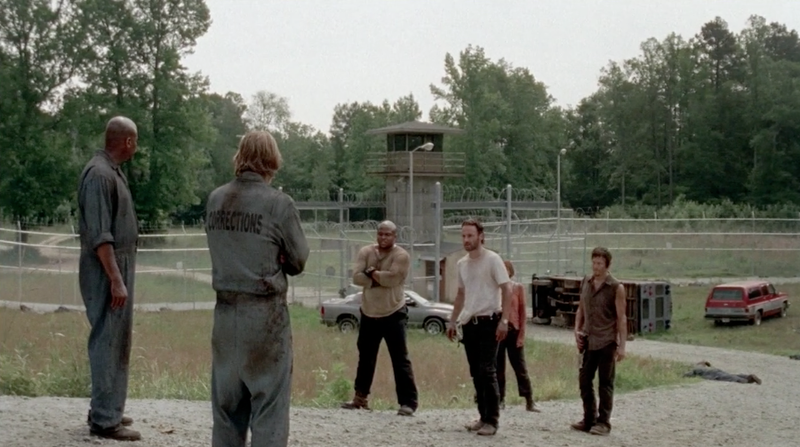 As Rick, Daryl and Glenn finally reach the prison's recreation yard, they learn of the rest of the Group's whereabouts; as well as T-Dog's injury. When the prison's klaxon alarms suddenly begin wailing the Walkers surrounding the prison are alerted. Rick believes that Oscar and Axel can assist in shutting down the emergency generators controlling the alarms so he orders both men to follow them into the prison. T-Dog and Carol work their way through the dark corridors in an attempt to return to C-Block but are completely cut off by Walkers. 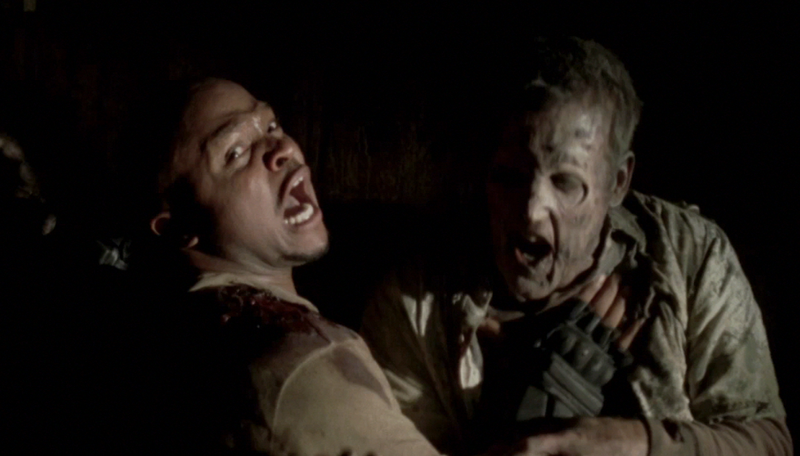 Knowing that he will not survive, T-Dog summons the last of his strength to charge a pack of Walkers; in an attempt cover Carol's escape route. In the utility room, Lori's condition continues to deteriorate. Realizing that her time is short, she urges Maggie to cut the baby from her. Maggie initially refuses but soon complies with Lori's request. 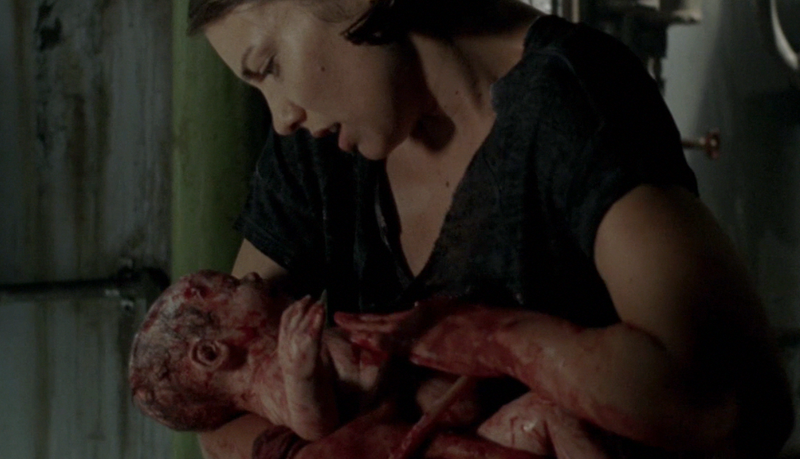 Carl assists Maggie as best as he can and Maggie successfully delivers a little girl. 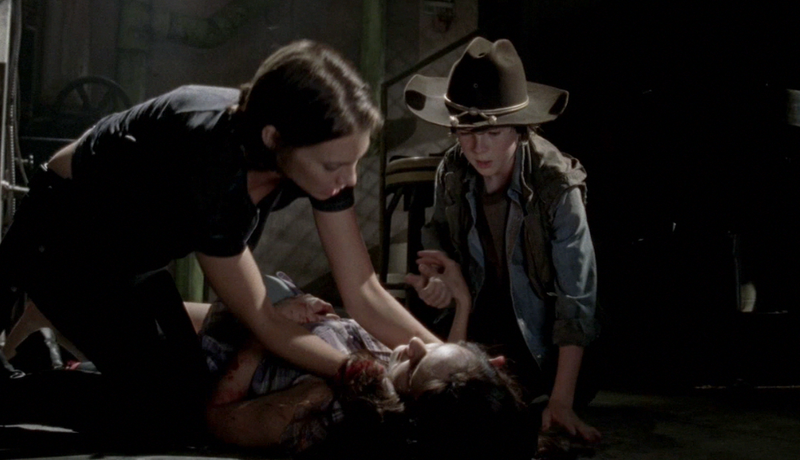 Seeing that Maggie has reached her limit, Carl insists that he be the one to release his mother's body. Rick, Glenn and Daryl, along with both convicts, reach the generator room. They are immediately attacked by Andrew, who has survived on his own. 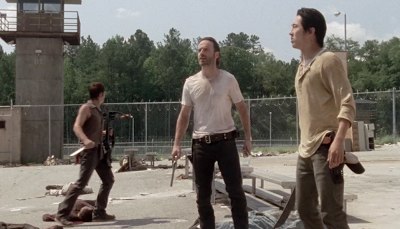 In the confusion, Oscar gets control of Rick's gun. Rather than follow Andrew's urging to kill Rick, Oscar turns the gun on Andrew and resolutely casts his lot in with the Group. The alarms are cut off at last. 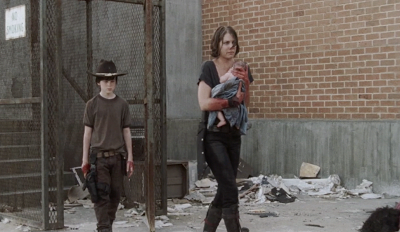 They stumble their way back to the yard, where Carl and Maggie emerge moments later with the tiny infant. Stunned into silence, the Group stands together. They have lost three of their own and gained a helpless infant. The two convicts who have taken their side would be the only ones thinking clearly. Neither were violent criminals and both likely had jobs within the prison. Oscar and Axel would no doubt have volunteered to get the food preparation going. The prison pantry inventory was something they were familiar with and could quickly put together something fast and nutritious. Sesame Lime Chicken Salad is easy to prepare and tastes surprisingly fresh with a light and spicy dressing. And when the dead rise; if you make it to a building with a generator room....figure out how to work the generator before you do anything else. Boil water over high heat or over campfire coals. 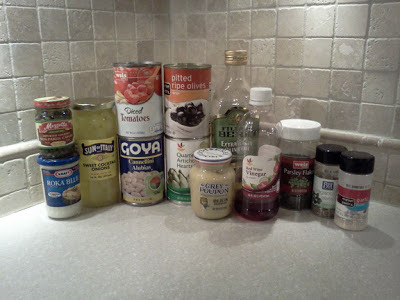 Cook orzo according to package directions and drain well. 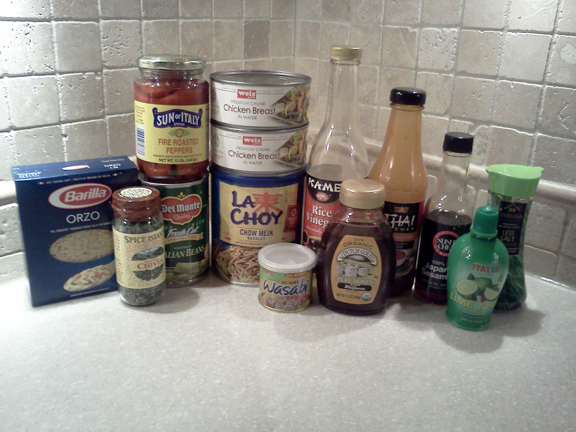 In a jar with a screw-top lid, combine rice wine vinegar, honey, spicy Thai chili sauce, sesame oil, lime juice, soy sauce and wasabi. Screw on top and shake very well to combine. Taste and make adjustments to the seasoning if you wish. This recipe is very forgiving; if you like your dressing a bit saltier, add more soy sauce. Add more vinegar or lime juice to alter the acidity. Add more honey if you like your vinaigrette a bit sweeter. 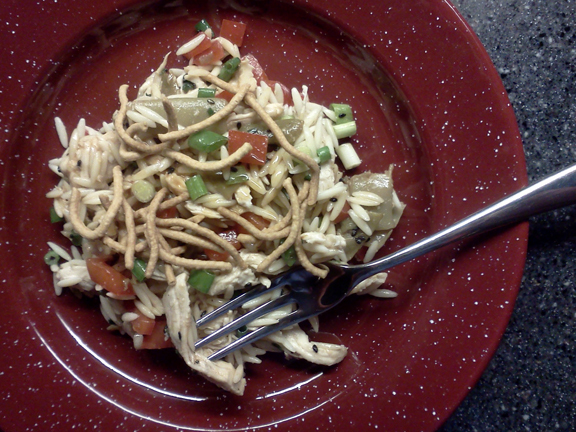 In large bowl, combine drained chicken, green beans, red pepper, chives and drained orzo. Toss gently with about 1/2 of the dressing. Serve immediately sprinkled with chow main noodles and optional black or white sesame seeds. Serve with the extra dressing to sprinkle on each serving. 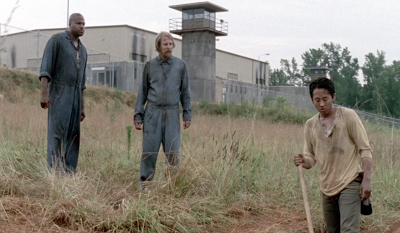 The Group continues to work tirelessly to secure the prison and fortify the outer perimeter against Walker attacks. 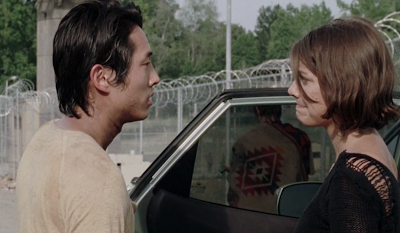 They enjoy a moment of levity upon catching a disheveled Glenn and Maggie in the guard tower together. The moment is interrupted by the appearance of Oscar and Axel; the sole surviving inmates. 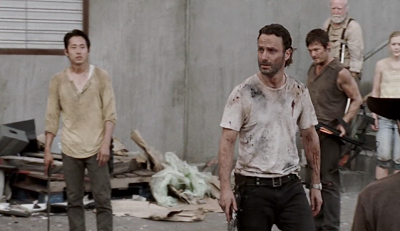 Their pleas to join the Group fall on deaf ears as Rick makes no pretense of tolerance. He reminds them of his earlier promise to kill them both if they approach any member of the Group. Only T-Dog seems to care about their plight. 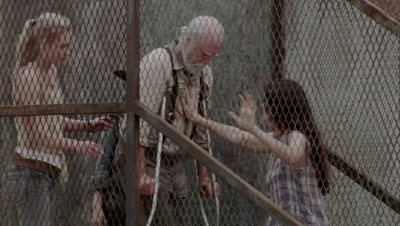 However, the entire Group is moved to see Hershel emerge from Cell Block C. While he is a bit unsteady on his crutches, the older man's unbreakable spirit gives them all a reason to pause and smile. He is the living proof of their victory over death. 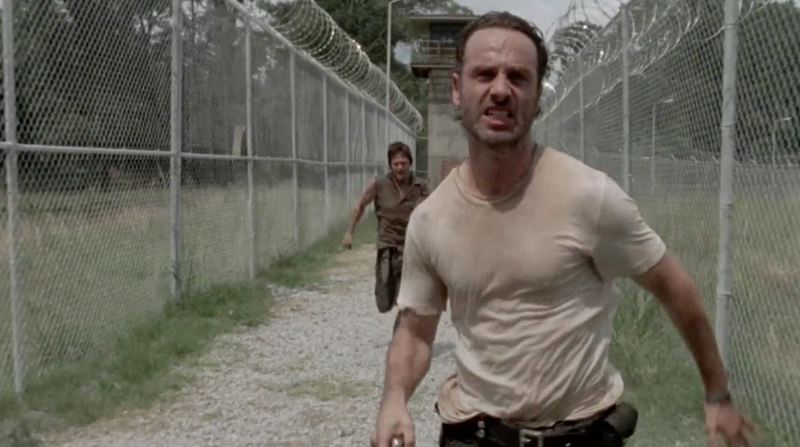 But the triumph turns to terror only seconds later when Walkers swarm from the side of the interior prison yard. With the sheer numbers of Walkers, the Group must scatter. Rick, Daryl and Glenn race to the yard as Hershel and Beth get to the fenced side door and seal themselves inside. Maggie leads Lori and Carl to yet another C-Block entrance. 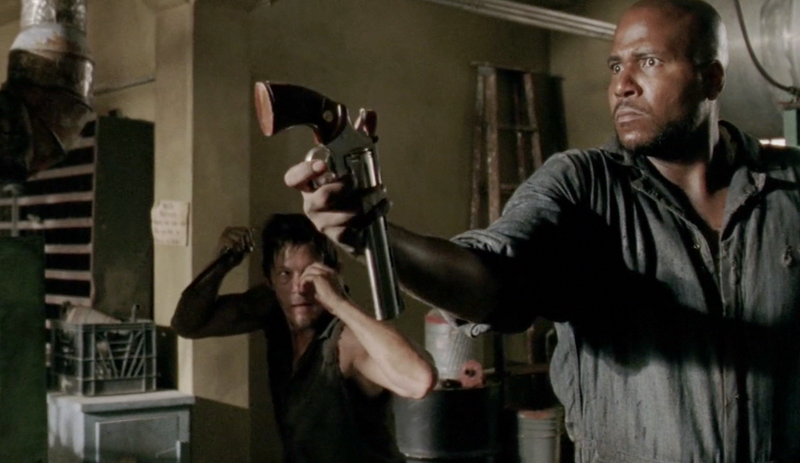 T-Dog and Carol shoot their way to the recreation yard gate, which (impossibly) has been opened. 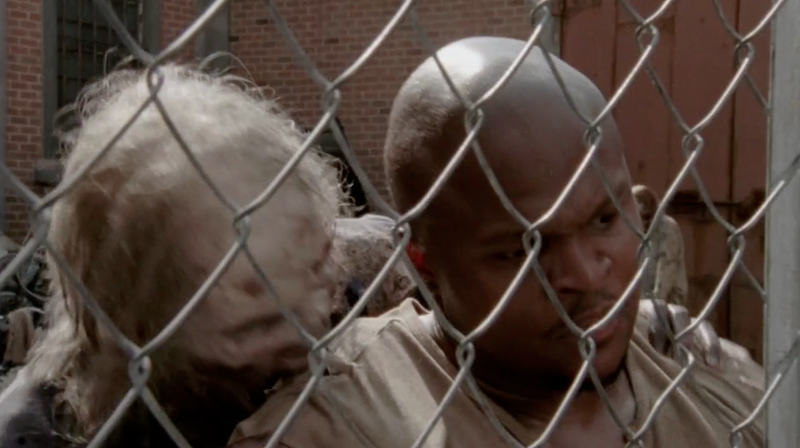 In a heroic act of self-sacrifice, T-Dog closes the gate just as he is viciously attacked by a Walker. 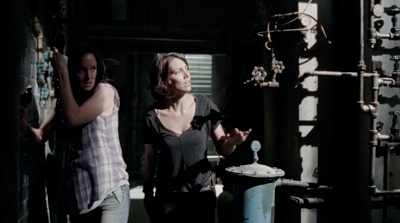 As Maggie leads Lori and Carol back to Cell Block C, they are forced to take refuge in a utility room. 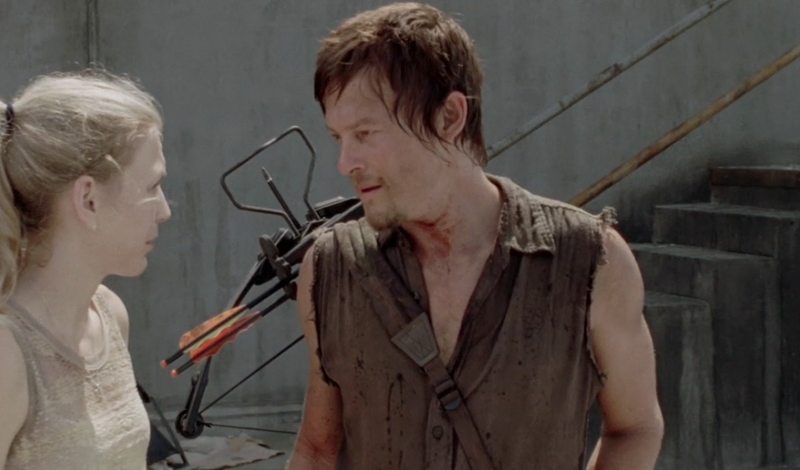 Defying the idea that the situation cannot get any worse, Lori goes into labor. Separated again and beaten down once more; the Group would need all the strength they could possibly muster. It was very fortunate that they at least ate breakfast before the catastrophic day began. While pancakes would be too time consuming to prepare for a group with all the work involved; a puffed, casserole style pancake would work just fine. Sometimes simple carbohydrates and a good sugar-rush are all your Group will need. And when the dead rise; watch the gates. Always watch the gates. Melt shortening and 1/2 cup of brown sugar and all of the maple syrup in a very large cast iron skillet or large baking pan over medium heat or medium campfire coals. If you have access to an oven; preheat it to 350°. In a large bowl, blend remaining sugar, baking mix, milk and eggs. Pour pancake mixture over the melted maple syrup mixture. 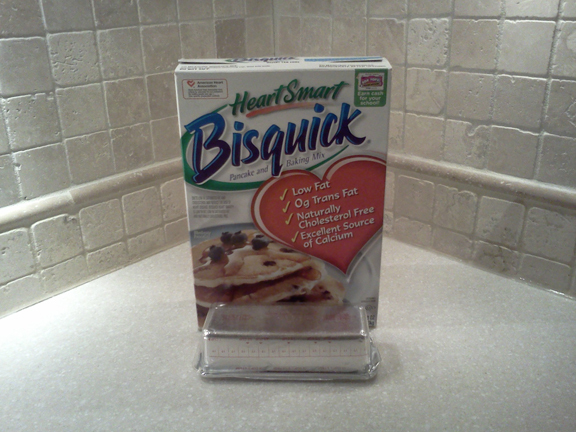 Bake in preheated oven for 30 to 32 minutes or until a knife inserted in the middle of the pancake comes out clean. Or until the top springs back when lightly touched. Alternately, cover pan/skillet with aluminum foil or a baking sheet. Place above medium campfire coals and allow to "bake" over coals. Check carefuly after 20 minutes. Rotate pan if needed to ensure even cooking. Bake over coals for another 15 minutes. If additional cooking time is required; you can cover the tightly covered pan with hot coals to complete the cooking of the top pancake mixture. Cut into wedges or squares and serve right away. 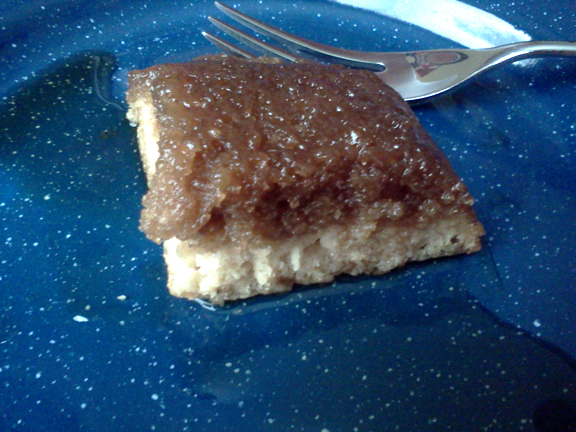 If you have enough maple syrup to spare; serve with additional syrup. While no further reports have surfaced about the deadly helicopter crash in Coweta County Georgia, a different group of local Survivors are expressing their concern about the welfare of a small outfit of National Guard soldiers in Newnan. The soldiers had been led by a Lieutenant Wells and had been part of a larger outfit at a fenced refugee camp. Forced to abandoned their post after the fencing failed, the soldiers had left in a convoy that got stuck in a traffic jam on the highway, approximately sixty miles from the camp. Though their original orders had been to only take in refugees in the camp, the National Guardsmen had bartered supplies with local Survivors on two occasions, in addition to offering useful information. Recently, Newnan Survivors made their way back to the outpost once more, with the intention of trading supplies and were stunned to see the outpost completely deserted. More disturbing than the missing convoy was the discovery of seven large patches of bloodied earth. Survivors in Newnan were understandably devastated by this revelation. We will continue to bring you reports as we receive more updates. At this time; we would like to also urge all Survivor Groups to use caution when approaching any military convoys or encampments. Which outposts are still acting under the authority of the U.S. Government cannot be determined at this stage. Although times continue to be desperate; we also know that all Survivor Groups are holding fast. No matter how difficult the days ahead may be and no matter how great the challenge; we can all continue to make life as sweet as we can. While life is like a box of chocolates (you never know what you're going to get) it can still be a bowl of cherries. In that spirit, the WDSCB presents Chocolate Cherry Skillet Cookies in honor of Monique. 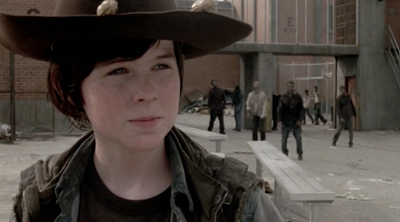 The coolest Survivor we know. In a large cast iron skillet or medium Dutch oven, melt butter flavored shortening over medium heat or medium campfire coals. Gently stir in brown sugar, chocolate chips and dates. Remove from heat and then stir in egg (powdered egg mixed with water according to package directions). Then return to heat, cooking and stirring constantly until mixture bubbles and comes to a boil. Allow to bubble gently for 1 minute. Remove from heat once more and stir in crisped rice cereal, cherries and half of the bag of coconut. Check the consistency. You may need to add additional cereal if the cookie mixture is too moist. Or another tablespoon of shortening if the cookie mixture is too crumbly. Allow to cool for 5 to 10 minutes, or until mixture can be handled comfortably. 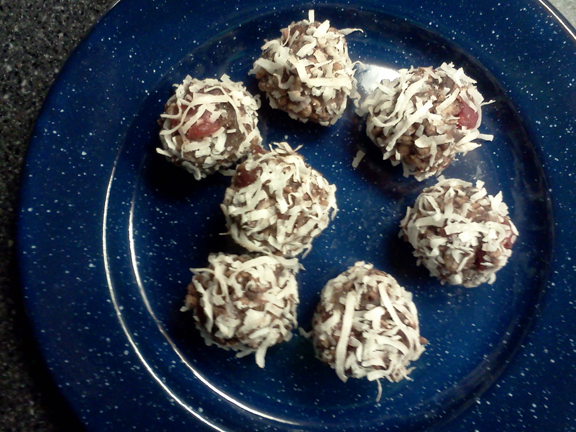 Roll mixture into 1 inch balls and then roll each ball in the remaining coconut. Allow to cool completely and then serve. These skillet cookies are best eaten within a day or two as they tend to become more firm as they sit. According to eyewitnesses, a Huey helicopter crashed in the northeastern corner of Coweta County, Georgia. No determination can be made as to the cause of the crash but witnesses claim to have heard sniper fire before the pilot lost control of the craft. From the brief observations made by locals, the helicopter may have belonged to a U.S. Army outpost in the area. Local residents did make an attempt to locate the wreckage. After searching for most of the following day, the crash site was found. Unfortunately, there were no survivors and the wreckage had already been picked clean by scavengers. As more information becomes available, we will keep you updated. In addition to providing updates on regional developments in Survivor camps and accurate Walker movements the WDSCB will continue to provide timely nutritional information for the health and welfare of all Survivors. 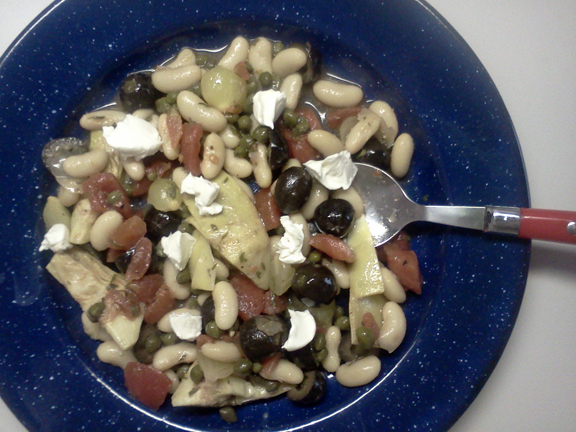 This week we present Mediterranean Salad; adapted from an original recipe courtesy of Krista. A tangy garlic vinaigrette turns these humble pantry ingredients into a memorable and nutritious main dish. Cannellini beans provide both protein and complex carbohydrates to keep your Group satisfied and fast on their feet. The inspired addition of shelf-stable Roka blue cheese spread and capers can almost be called gourmet. Krista...we don't know how we've survived this long in the Zombie Apocalypse without your Mediterranean Salad but fortunately; we no longer need to! In a large bowl, combine all salad ingredients except the blue cheese spread. Chop the artichoke hearts if they are in large pieces. In a small bowl, combine all of the vinaigrette ingredients and whisk until well blended. Pour gently over salad ingredients. Using two large serving spoons, toss salad and vinaigrette until well blended. Allow salad to sit for at least 30 minutes before serving to allow flavors to blend. Stir well again before serving to make sure each serving has plenty of dressing. Serve on plates and top each serving with four or five tiny dollops of blue cheese spread.